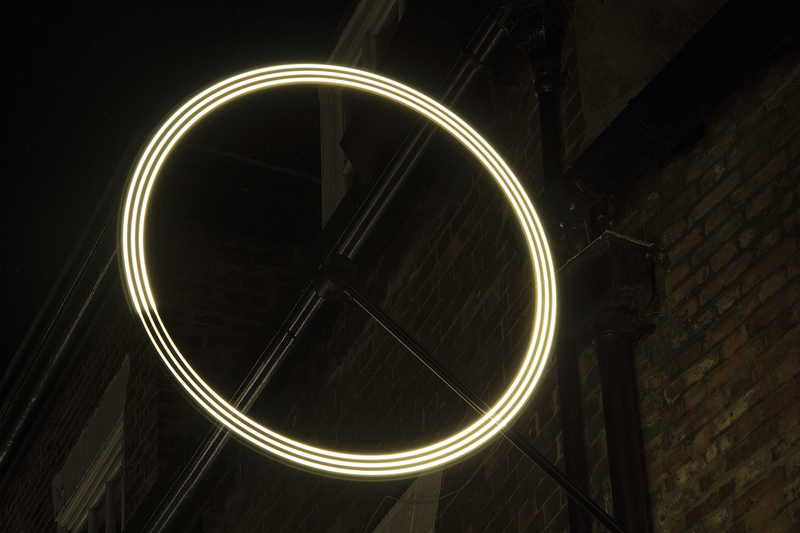 A contemporary interactive light sculpture to reframe one of the UK's oldest streets. 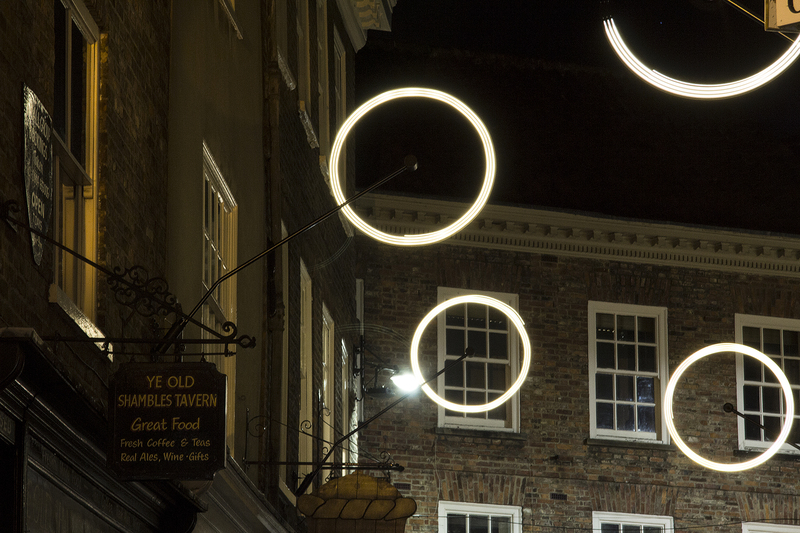 When Make It York asked us to create an outdoor lighting installation for one of the most iconic streets in the UK, we jumped at the chance. 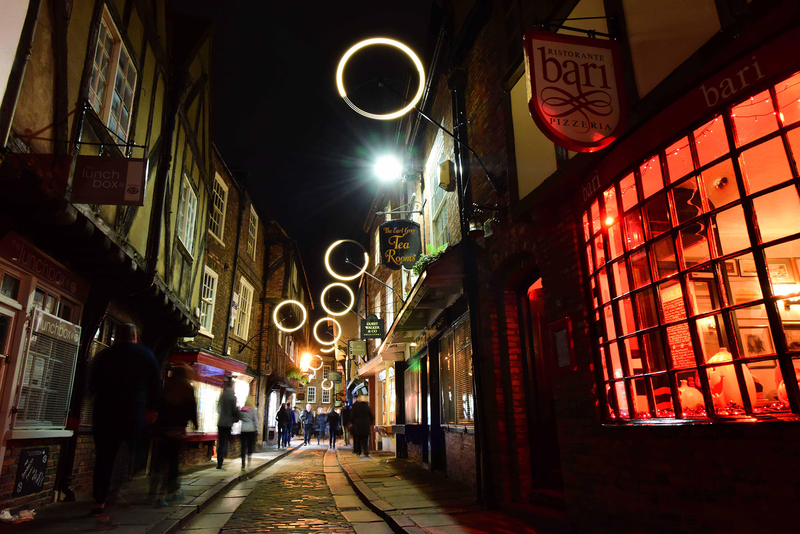 We were given the brief, of using the "transformative power of light", to help attract new and returning visitors to one of the countries oldest streets. 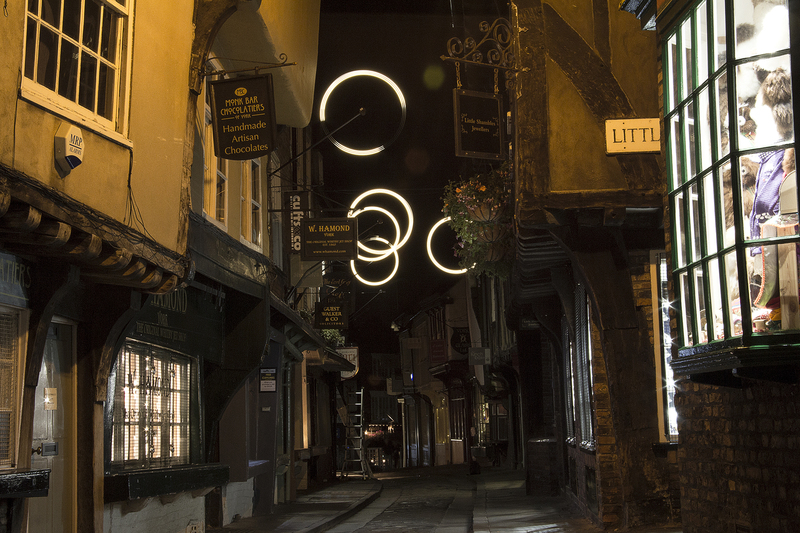 Our approach was to use both movement and strong geometric forms, to create a dramatic contrast to the irregular architecture of The Shambles. Lining the length of the street with spinning loops of light, the outcome truly showed the Shambles in a new light, and helped attract over 30,000 people to the city. Orbit takes inspiration from nostalgic memories of Autumn fireworks and catherine wheels, as well as the beauty of long exposure photography to capture the movement of these light sources. We all have memories of writing our names in the night sky with sparkers, and seeing the light trails when we closed our eyes. With Orbit, we wanted to recreate these emotions with a contemporary twist. Using a high speed motor with LED lighting, each light assembly creates regular geometric shapes and patterns, by spinning 8 LEDs on the end of a carbon fibre arm at high speed. This creates the regular, geometric shapes, leaving traces in the sky similar to long exposure photography without the need for a camera. Creating 20 completely bespoke lighting assemblies required lots of rapid prototyping, and presented numerous technical challenges. 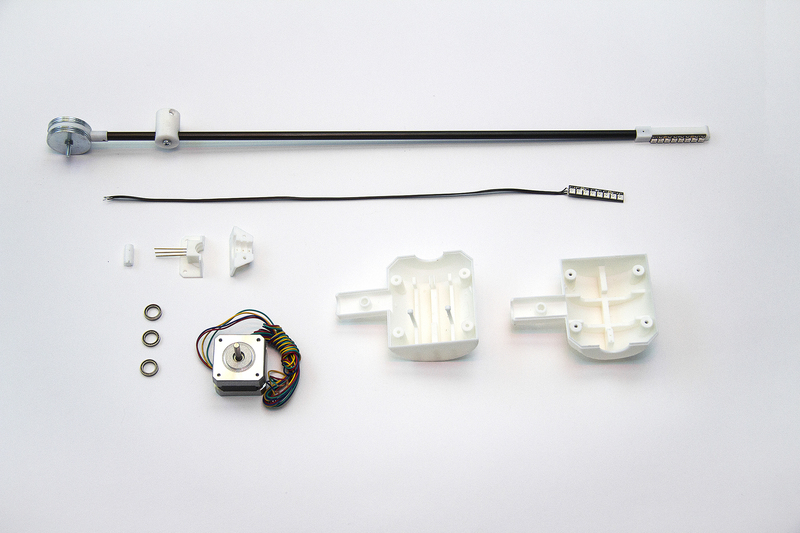 Our team of product designers, mechanical and electrical engineers developed a number of technical and product innovations, to ensure an outcome of maximum quality. With nearly all of the parts fabricated in-house, it meant we were in absolute control of all technical and design elements - from form to function. Developing a custom electrical installation to cope with the cold and wet environmental conditions of the north of England in Winter was never going to be easy! 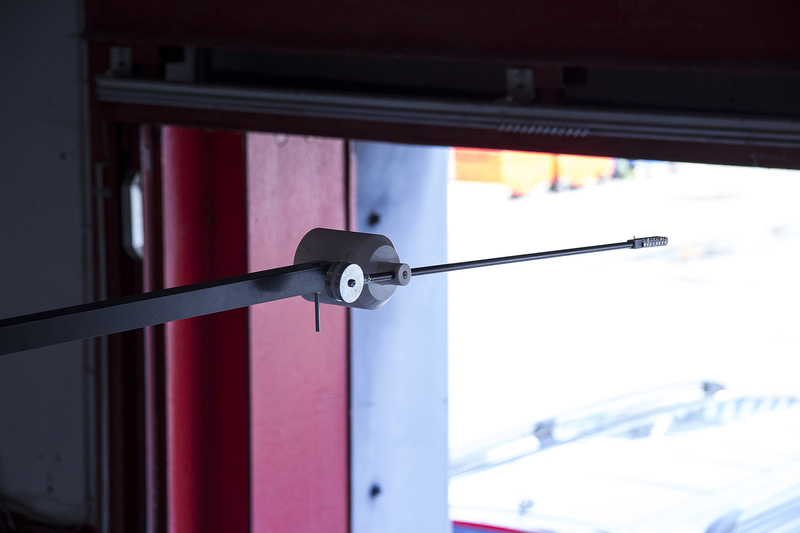 But the ability to test and prototype in the studio workshop made sure the final lights could operate without issue. Estimated online reach of over 8.2 million. 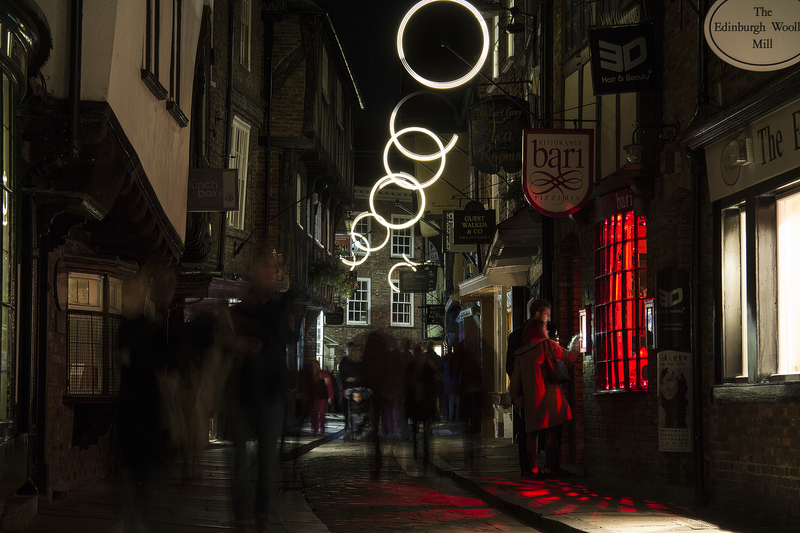 Over 30,000 visitors to York for the light festival. Liked that? Try this > Polyphonic Playground.